PROPERTY SEARCH free property finding / sourcing in Berlin, it’s an underground city so finding good property for sale is very difficult, and there is a saying in Berlin if it’s advertised is it going to be any good..that applies to property as well as clubs bars etc Berlin has over 5,000 estate agents so it’s reported but they are probably less than 20 ‘retail’ outlets like we are used to in the uk such as Savills or Foxtons, in 2008 it was recorded in London there were some 16,000 estate agents, so you can see the problem a foreigner going to purchase in Berlin will immediately have. 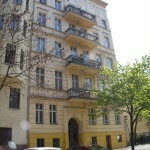 SOLUTION: Use our free property finding service, for the last 9 years we have worked with most of the best ‘private’ estate agents in Berlin and are well know for sourcing deliverable good yield buildings with potential, we are fully aware of the micro areas trending in Berlin and one of our sources is a rental agent so when we are searching we are fully aware what rents are being achieved in the best investment areas in Berlin. WHY IS OUR SERVICE FREE? : Berlin compared to London differs in many ways one is that the purchaser pays the agent fees in every case, so be prepared for that and the other slight shock will be the level of fees which are up to 6% plus vat…but there are no agent fees when selling, we are able to offer free services to serious clients as the agents all offer us success only fees, so there is no actual cost to a client for our services as the agent will charge the same fee to you…. 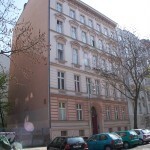 We would be happy to chat through why the Berlin property market differs from the UK, give you some useful hints and tips, let you know what to be aware of, how to spot a building with potential which can be difficult with so many sitting tenants to spot and how to get the best long term fixed rate funding based of the income of the property rather than your own personal income. Feel free to contact me by phone or email.. Here are some examples of properties we have sourced and help achieve funding for clients in recent years.